Give your business a major boost with superfast Fibre Broadband from Columbus. Get everything done more quickly with download speeds up to 80 Mbps and upload speeds up to 20 Mbps. 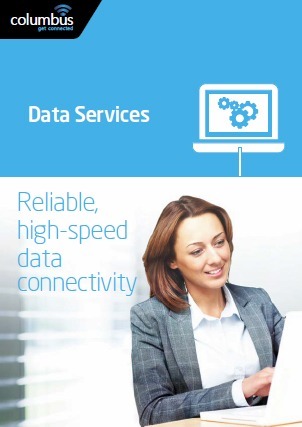 Then our Fibre Broadband service is the right choice for your business. Call Columbus on 0333 240 7755 to check Fibre Broadband availability at your premises. Give your business a boost with Superfast Fibre Broadband from Columbus. Our Business Fibre Broadband services provide fast and reliable internet connectivity critical to the success of today’s fast-moving organisations. Columbus provides a range of high quality, business fibre broadband services which are ideal for small to medium-sized businesses. With speeds of up to 80 Mbps down and up to 20 Mbps up, the service is ideal for business that need increased upstream bandwidth to support web servers, terminal servers, VPN, video conferencing and cloud-based applications such as Office 365 or hosted CRM systems for example. Columbus customers also benefit from business traffic prioritisation ensuring you get the best possible performance at all times. Is Business Fibre Broadband right for my business? Fibre Broadband provides a significant boost over traditional ADSL Broadband services and all businesses will benefit by switching to faster Fibre Broadband. Browsing is faster, video is smoother and updating hosted CRM systems is much quicker too. Our Business Fibre Broadband services suit organisations that require a connection which is more reliable than traditional ADSL Broadband. We can also provide a failover service for Fibre Broadband using an additional ADSL service which maximises availability. Customers that require mission-critical, always available Internet connectivity should consider our Ethernet connectivity services that provide uptime guarantees and comprehensive service level agreements. Whether you are a remote worker, small office or larger organisation, we have flexible bandwidth usage options available to suit your needs exactly. Business Fibre Broadband is ideal for remote workers giving them the best possible user experience for browsing, remote desktop services and IP Telephony. Columbus uses state-of-the-art Fibre To The Cabinet (FTTC) technology. Fibre cabling handles most of the data from the roadside cabinet to the local exchange and a copper line connects the premises to the roadside cabinet. What is the availability of Business Fibre Broadband in the UK? Access to Fibre Broadband is growing and fibre will continue to be rolled out with current estimates that around 80% of premises will have access to the service by the end of 2015. Is Fibre Broadband expensive to install? Absolutely not. We offer free installation for our Fibre Broadband service which includes a site visit by an Openreach engineer to install your VDSL modem and connect your router. The free installation is based on a 12 month contract term. How can I find out if Fibre Broadband is available for my business? Please call us on 0333 240 7755 and we will advise if Fibre Broadband is available at your premises. Why should I consider moving my Broadband to Columbus? Many business broadband customers remain on the same product for years for fear of change and what might happen if things go wrong. Switching to Fibre Broadband from Columbus is really simple and overseen by an installation engineer. Appointments can be made to suit you, our migration lead times are excellent and you will also have access to dedicated and named support staff throughout the switchover and beyond. Columbus are experts in managing migrations, whatever the size and we will work with you closely through every step of the delivery process. Our attention to detail, clear and accurate communication and exceptional UK-based customer service stands us apart from other Business Broadband service providers. How quickly can you get my business up and running? We will deliver your new Business Fibre Broadband service within 10 working days and we will keep you updated throughout the delivery process.